or on Normal mode with all of her Welkynar Shade allies. 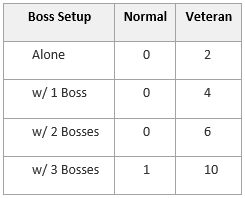 The amount of Fragments dropped is not randomized, but is based on the configuration of the final boss fight – the harder the fight, the more Motif Fragments you’ll obtain. Binding (which consumes 10 Welkynar Style Motif Fragments), you will create a single random Welkynar Motif chapter, or very rarely, the full Book. and as with the Motif Fragments, you will not earn any if you defeat her on Normal mode without all of her allies with him.